I couldn’t let this month go by without dedicating a post to breast cancer awareness month. With 1 in 8 women receiving this diagnosis, most of us likely know someone experiencing this illness first hand. I’ve watched my Mom fight it twice, and more brave friends and family than I could ever count. What does breast cancer have to do with a Liver Cleanse Smoothie? There’s much discussion about cancer prevention, power foods, healing foods, and anti-inflammatory foods. Does food and nutrition really make a difference? 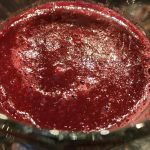 When I use red beets my smoothie is this color. 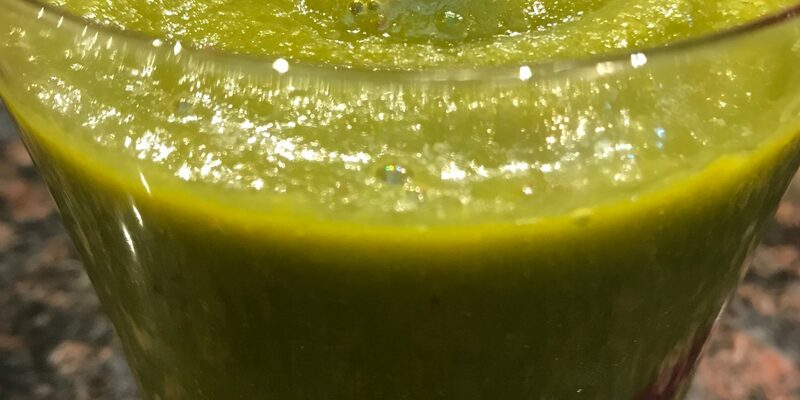 When I use golden beets, it’s green like the featured photo at the top of the post. While research shows that genetics may play a part in dictating a propensity for cancer or other illness, it doesn’t predetermine our fate. In fact, latest research concluded that diet, exercise, and lifestyle (stress level) have a direct impact on health, relating to a number of cancers. Through my own journey with illness, food and nutrition have a huge impact on my health. For me, foods that cleanse my liver of the toxins from medications, pollutants, and by-products of our world hold tremendous impact. 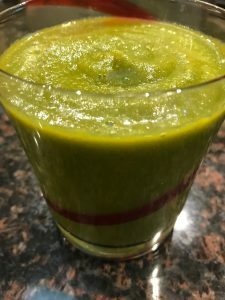 I go to this Liver Cleanse Smoothie and eat liver cleansing foods on a regular basis to support my health. 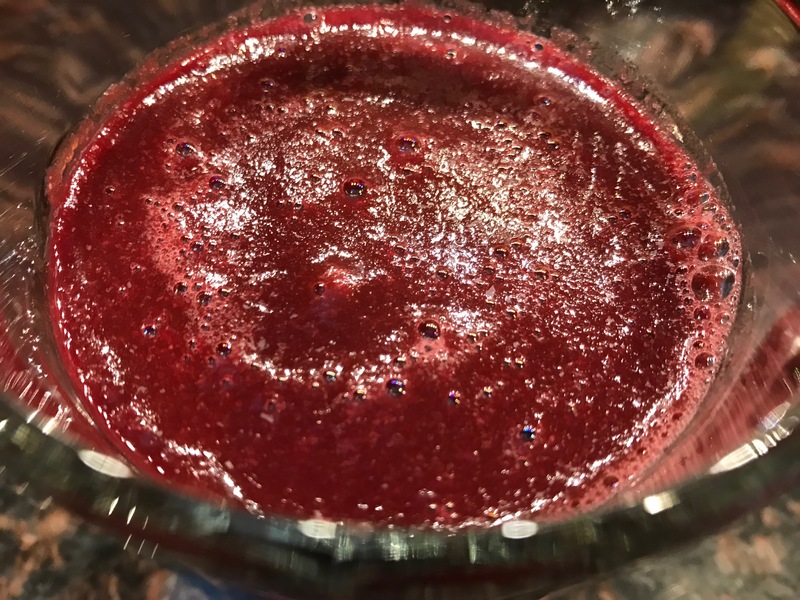 I believe cleansing the liver is critical for anyone’s health, especially when working through a serious illnesses that requires strong, often toxic, medications and protocols. Why is the Liver so Important to Health? One of the best analogies I read compared the detoxification of the liver to changing the oil filter in your car. Your car’s oil filter becomes dirty from day-to-day use, normal wear and tear. If you don’t maintain the oil and the change the filter, it will become so dirty and blocked that the engine will literally stop working. The liver works much the same. It must be maintained and cleansed regularly because it has so many big, important jobs for our bodies. Unlike oil filters, however, we can’t just get a new liver. Also, unlike a car, we can’t have our livers cleaned out for us by a mechanic. We must take great care of the one and only liver that we get. How do we do that? With the right foods that cleanse it. With exercise. With supplements if needed. How is Breast Cancer Connected to Liver Cleansing? Whew! That’s a tough day! Seriously, that’s a lot of work. And let’s be honest, it doesn’t sound pretty. The liver helps fight against cancer by supporting immune function and resisting infection. It also detoxifies the body of unhealthy cells. We don’t want these unhealthy cells to stay in our bodies. We certainly don’t want them setting up camp and multiplying…that’s what cancer is. The liver can’t do it’s job if the filter is gunked up with toxins. If the liver can’t help rid the body of these toxins, we risk the chance of them spreading into our blood stream. That’s bad news. To keep it simple, you can start with the foods you eat. Cruciferous veggies are called “power foods,” top cancer fighters and preventers. The top two are cabbage and broccoli. I don’t think it’s coincidence that top liver cleanse foods are top cancer fighting foods. When cleansing the liver, it’s important to introduce as few pollutants, chemicals, and toxins into the body as possible. Why add pesticides and other chemicals to your liver’s to-do list? You can swap other liver cleansing foods into the smoothie if you like the overall taste better. Make it something you want to drink or you won’t drink it. I add a large amount of lemon and ginger to mine because I like those flavors and they balance the intense veggie flavor. I would guard against making it all apple (fruit), but if you need more apple to get started, go for it. Then try to increase the veggies. It’s alot of veggies, fruit, and fiber. It should fill you up for a while if you drink it all. Plus, it will allow your liver to really cleanse if you let it process all this goodness alone. Some people find raw veggies and juices/smoothies difficult to digest. They can cause gas and bloating. If you find this to be the case, you can lightly steam your veggies and blend them. I struggle to digest raw kale and other leafy greens so I always steam them. Do what works best for your body! Wash, peel and juice ingredients in a blender until you reach desired consistency. Add water as needed to thin it out if too thick.